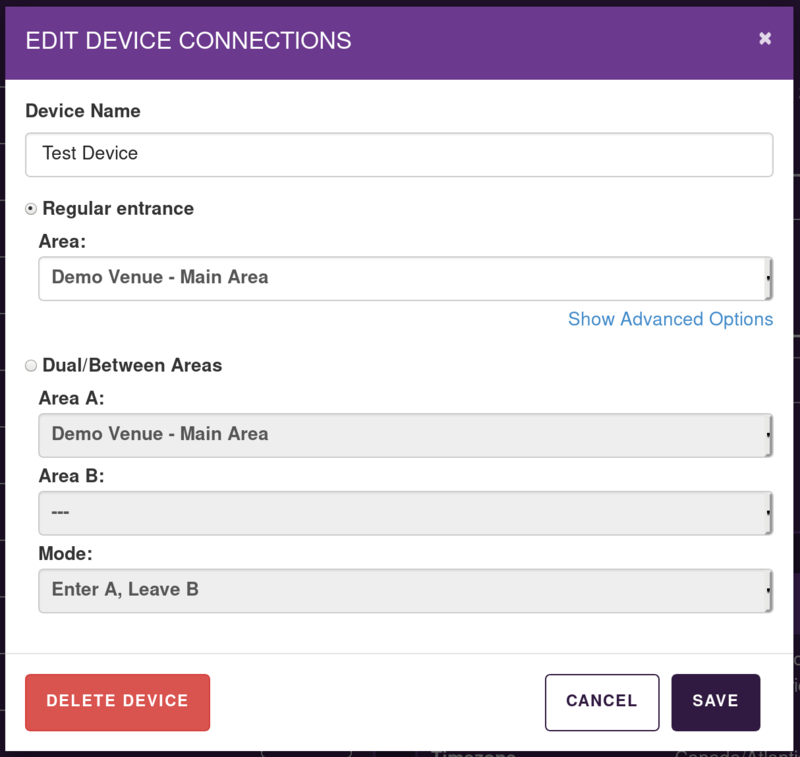 TallyFi offers a good deal of customizability and configuration - we'll try and keep everything simple and quick. If you are looking for specific details not found here, checkout our full manual. If you get stuck, we are happy to help: help@tallyfi.com. There are a few ways to setup device WiFi credentials, the one that will work best for you will depend on your requirements. Press the center button to access the WiFi Setup menu. The device will start an access point and display its name (something like: "TallyFi-xxxx", with a password of "StartCount"). If using a smartphone, start by disabling the cellular mobile data connection on your device. From your device's WiFi settings, connect to the "TallyFi-XXXX" access point with password, "StartCount"
Once connected, the TallyFi device's display should change to show an address (i.e. http://192.168.1.1). Visit the address displayed in your web browser. Select the access point you wish to use with your TallyFi Device, and enter the password. For hidden networks, use the "Add Custom Network" option. Static IP configuration can be modified by opening the "advanced configuration" link at the bottom of the page. The device will attempt to connect to the access point and will display "Success" if the access point can be connected to. It will try a few times to connect, so be patient. If unsuccessful, this screen will let you know why we were unable to connect to the AP (e.g. password issues, signal issues or internet connectivity). The WiFi credentials are saved automatically, and can be edited or updated by restarting this setup process. Enter the information for your access point. Blinkbit is affected by screen brightness, so be sure to increase maximize your screen brightness before you begin. Wait for the "Scanning" prompt. Hold the back of the device against the screen of your phone. Continue holding the device against the screen until you see a "Success" message. As the data is transferred it will be displayed on the TallyFi device’s screen. Verify that this data is correct. If you get an error message, you can repeat the scan process by pressing the "back" button and re-entering the "blinkbit.io" menu item. Click the central button to enter the "Wifi Setup" menu. Select the "WPS Button" option. Not all routers support the keyless WPS button standard. If your router displays a number or phrase, it will not work with this method. We recommend using the Blinkbit or Access Point method instead. Once WiFi has been successfully connected, the device will be able to contact our central servers. If the device has already been configured, you should see a large count on-screen. Pressing the buttons will increase and decrease the count depending on how the device is configured. If you'd like to change the behaviour, go on to step 3, otherwise you are all done. If you see a message, such as "Device Not Paired" or "Device Not Assigned", it means that you need to associate the device with your account and venue. The first step here is to visit your online dashboard's settings page. Once there, you'll see a section labeled "Devices", which contains a list of all the devices already associated with the account. At the end of that list you should see a "Pair Device" button. Device is connected to two different rooms/areas, and depending on the mode selected, each button press removes one count from one room and adds it to the other (in "Enter A, Enter B" mode adds/removes 1 from both rooms). If you are using multiple devices together, be sure to give each device a good name: The text is displayed on each device so that you can easily and quickly tell them apart.